When the Moon Was Ours is a book of stunning magical realism, enchanting imagery and strong thematic motifs. Miel and Sam’s town is full of naturalistic and dangerous magics, fuelled by familial and cultural stories, almost ruled by a kind of folklore logic. As the pumpkins on the Bonners’ farm turn to glass, suspicion turns on the woman who cures lovesickness and the girl who fell out of the water tower. This is not a simple story of good and evil. The prejudices and judgements which build the conflict here are complex and ingrained, and never black and white. The townsfolk curse Miel, calling her “bruja” behind her back, but they smile with her when they see her conquering her fear of pumpkins. This novel invites us to look behind the old and magical stories to the people who inhabit them. It begins with a fairy tale, but the tale it tells is painfully relevant to us now. It shows us how to open our hearts to experiences which are foreign from ours, to take possession of our own truths and let other people be free to treat their truths without external judgement or force. When the Moon Was Ours is perfect proof for why fantasy is anything but escapism. Anna-Marie’s writing unfolds as gently as the roses from Miel’s wrist, but this story too has thorns that dig deep under your skin and won’t let go. The world she paints is a vivid mesh of worlds, evocative of smells and colours both familiar and strange, calling upon folklore and tradition from several different cultures. It’s an argument against categorising people to make your own world simpler, and an invitation to open your eyes and mind to the glorious complexities and constellations that people are made of. Xan West has links to several reviews of this book by people who are much more qualified to discuss the transgender representation than me – I’m linking the ones I found most helpful here and here. For me, I thought this was a narrative of uncommon sensitivity and gentleness. Miel is chided, and chides herself, for trying to force Sam’s transition and acceptance of himself because of her own frustration. She apologises honestly and without expectation, and overall I just really loved the way her response is treated in the book. Sam’s acceptance of who he is does not come easily, though his mother and closest friends are unwaveringly supportive. Where the novel starts, he has almost painted himself into a corner, where the only options seem to be to betray the culture of his father and grandmother, or to betray himself, and it takes him a long time to figure out what he feels and what he wants. It’s an intersection between non-Western culture and transgender identity that I don’t think I’ve seen before, and to my (limited) view it’s dealt with intelligently and with respect. The beautiful and precise language of this novel drew me into a world that felt like a half-remembered dreams, where the river calls for the lost and the moon guides the fearful. Where the wind carries the voices of those passed, and the speaking of truths is powerful enough to shatter glass. Trans Pakistani MC and his mother, lots of integration focused on food, stories and traditional gender roles. Another trans character, a lesbian/bisexual character, one character possibly has learning difficulties. The aftermath of a teen pregnancy. Lots of Latin-American influences in the culture of the town and the language. 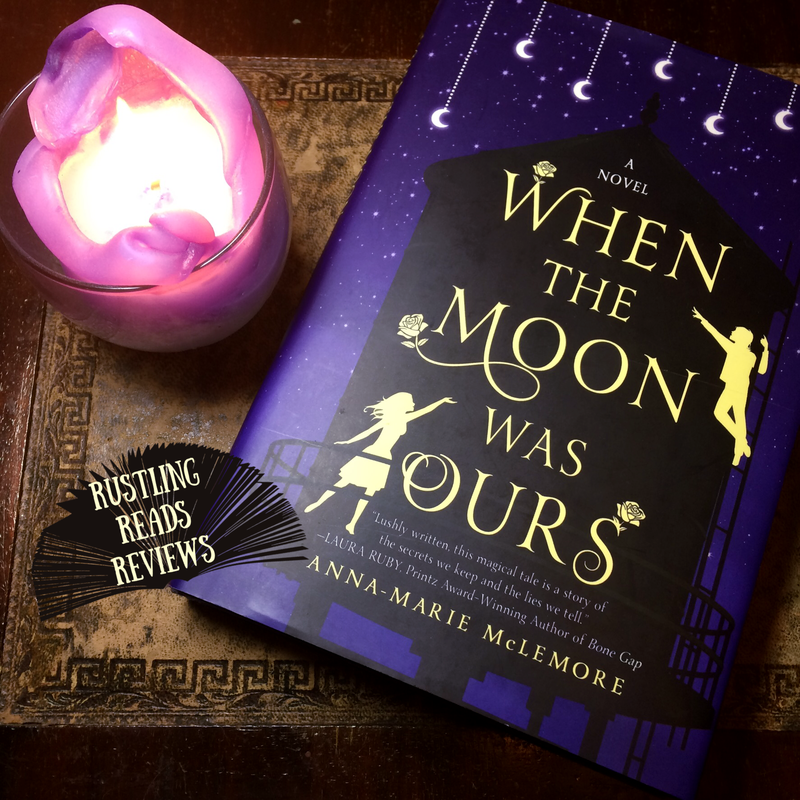 When the Moon Was Ours by Anna-Marie McLemore was published by Thomas Dunne in October 2016. You can order it from Amazon here.